In addition to building new aluminum boats, Silver Ships offers services to our customers looking to improve or repair their current vessels. Refurbishing, part replacement and repair are three of our specialty services that can get your crew back on the water in a timely manner. 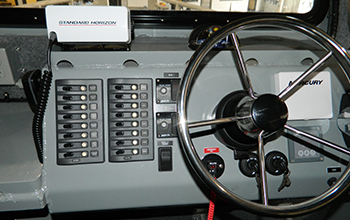 If your vessel needs new parts or updated electronics, we will work to find the necessary equipment. We can research parts and validate the capability of the new part on any past Silver Ships build. Silver Ships is well-versed in aluminum boat repair. 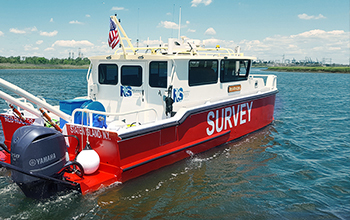 If your vessel is damaged or can’t perform to its top potential on the water, we can identify the problem and offer solutions to get it back up and running. 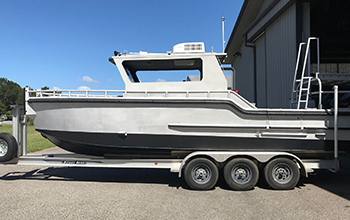 Refurbishing your aluminum boat can be an excellent alternative to purchasing a new vessel and can be just as effective when it comes to upgrading and adding new outfitting for your water-based mission.